Welcome to Lonely Pine Ranch! 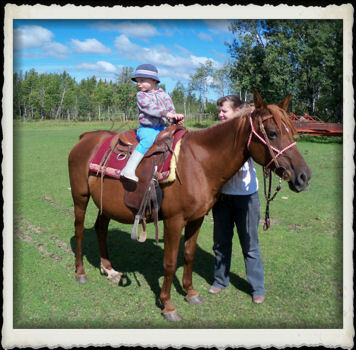 We are a small family owned and operated horse ranch located near the town of Spearhill in the heart of the beautiful Interlake region of Manitoba, Canada. 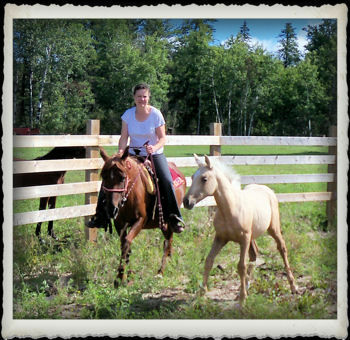 At Lonely Pine Ranch we raise Warmblood Draft Cross and Spotted Draft horses. We strive to produce horses that are not only beautiful but athletic, with quiet temperaments and suitable for horse sports such as jumping, hunting, eventing, dressage or driving. 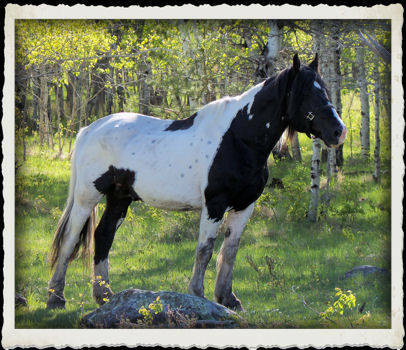 Our spotted drafts and draft crosses are also suitable for trail riding and pleasure horses. You might notice that our Spotted Drafts may look a bit different than most. Many spotted drafts are bred to be a fancy heavy hitch type horse. However, our emphasis is not on the typical heavy draft type horse but rather on refinement, elegance and athletic ability producing a horse more suitable for riding and able to compete in the sport horse disciplines. Our spotted drafts will also make excellent driving horses and all this with a splash of color! We believe it is important to handle horses from a young age in order to get a horse's training off to a good start. Our foals and horses are on a regular deworming, hoof trimming and vaccination program. We offer our horses for sale at reasonable prices. We are able to keep our prices reasonable because we are able to use our own resources. We grow most of the feed for them ourselves, we train and take care of the horses ourselves, take our own pictures and videos and we also created and maintain this website. 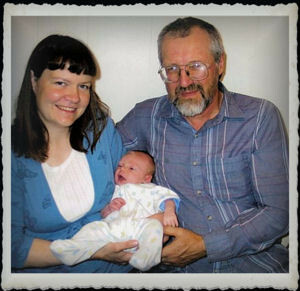 Les Nichol and his wife Andrea are the owners and managers of Lonely Pine Ranch. Les has worked with horses for a number of years on a neighboring ranch and also raising horses of his own. Andrea worked as a veterinary assistant before she married Les in 2008. Together their goal is to produce some fine Spotted Drafts and sport horses in the years to come. 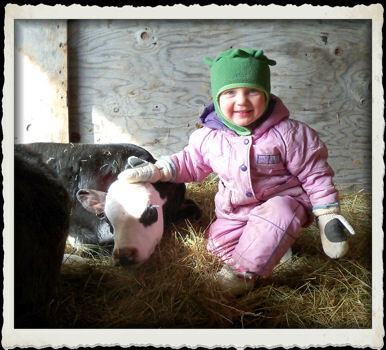 Lonely Pine Ranch welcomes you to stop in and have a look at our herd and have a chat with us. Coffee is always on!